On Sunday, the southern Swedish city of Malmo saw the fourth grenade attack in under a week as the a hand grenade was detonated in a car park in the district of Värnhem in the morning, local media reported. 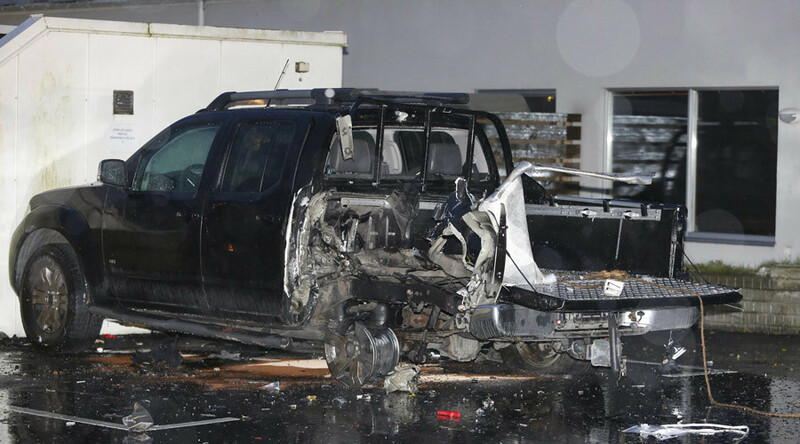 The attack came after a blast on Friday in the Solbacken neighborhood, which occurred less than 12 hours after another explosion in the residential area of Limhamn in the west, and two days after a car bomb attack that injured a man outside a community center in the south. “It is the thirtieth explosive attack since the New Year. We have a situation that is serious,” said the Malmö police chief, Stefan Sintéus, about the explosion on Friday, as quoted by the Local.se on Saturday. The local police have called for expert help from the national police operational department. “We have asked for shared expertise on various issues,” said Lars Förstell, a spokesperson for the city’s police, as quoted by the media. 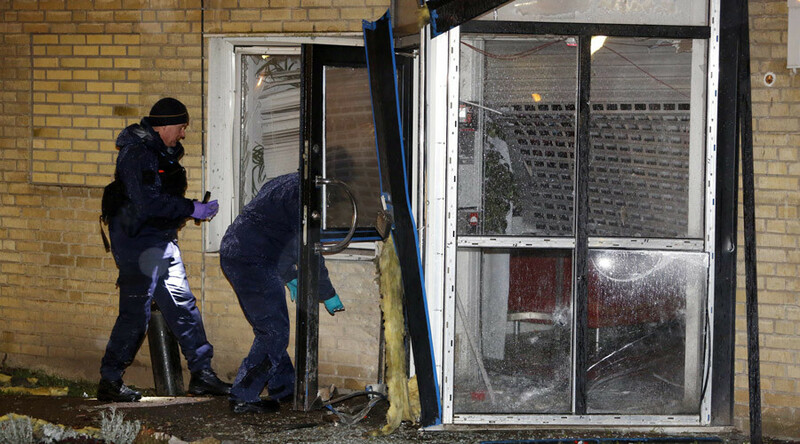 This week’s unrest continues a series of numerous shootings, explosions and arsons that have occurred since the beginning of the year in Malmo, infamous for high crime rates, multi-ethnic and gang-related violence. Since the beginning of 2015, 18 explosions rocked the city prompting the Swedish police's national bomb squad (NSB) to be called in. Over the whole 2014 a total of 25 explosions took place which shows a significant increase, Goran Mansson, head of NSB Malmo, told regional newspaper Sydsvenskan on Friday. Police said they believe this week’s explosions are linked with the court sentencing of three young men on July 10 for their roles in the Christmas Eve bombing in Rosengard – the city district which has been dubbed by media as Sweden’s “most notorious refugee ghetto.” The Financial Times reported that nine out of 10 in Rosengard have a foreign background. Following the spike in violence in the neighborhood in June, police announced that they would step up their presence in known trouble-hit areas such as Rosengard and Seved. Rosengard, a district in Malmo, was built in the 1960s and has long been associated with immigrants. Over 80 percent of residents there are immigrants, hailing from the Middle East, Africa and Eastern Europe. Only 38 percent of residents in the district are employed, according to the Economist, prompting restive youth to take to rioting and crime. Forstell told RT that there are 30 to 40 people with criminal background and weapons in the city. He explained that criminal activity is connected with internal conflicts between different gangs or ethnic groups. “Some of these people are involved in selling drugs and some of them are in other kinds of economic relations with each other and are not happy with the way things work out. It’s more of a business-like conflict,” he said. According to statistics provided by local authorities, 31 percent of the city’s 300, 000 population were born abroad and nearly 41 percent of the residents have a foreign background. The main countries from which immigration takes place are ones which have been recently plagued by conflicts – migrant groups from Iraq, Syria, the former Yugoslavia and Somalia are among them. The data also says that the Muslim population constitutes about 20 percent of Malmo’s population; this is one of the most significant percentages in Scandinavian cities. Adrian Groglopo, professor of social science at the University of Gothenburg said that the conflicts are fueled by racial and economic tensions. “People growing up in different areas segregated racially and economically are trying to keep their own business, protect their own areas and sometimes create a very violent climate,” he told RT. Malmo is a rather young city and its population is mostly young as well, with almost half under the age of 35, according to local authorities. In March, a secondary school Varner Ryden in Malmo’s Rosengard had to close due to increasing tensions between students that resulted in violence. "Fighting among the students means that security can't be guaranteed," said Catharina Niwhede at the National Union of Teachers in Malmo to the local Sydsvenskan daily. A nearby Ortagard school closed last autumn as well. “We have living conditions which are not good for the youth, that’s one of the problems,” he explains. “In the last 15 years the gap between the rich and the poor has grown enormously and of course it has racial connotations – you find very rich people that are white people and the poor people are non-white people,” he added. He urged the Swedish government to implement political measures for non-discrimination. There have been controversial incidents involving security forces and refugees, among which was the February case at the Malmo train station. The incident involved a refugee child reciting an Islamic prayer and a law enforcement officer who pushed the child onto the ground, sat on him holding his hands over his mouth. A further child watching the altercation was detained by the other guard. Though the actions of the guards caused a nationwide stir, in April the prosecutors said that they will not be charged. Two major polls (by YouGov for Sweden's Metro newspaper and Novus) conducted in June showed that the far-right anti-immigration party ‘Sweden Democrats’ has the support of about 20 percent of Swedish voters. Meanwhile, according to figures from the EU's statistics watchdog, Eurostat, issued in May, Sweden has been taking in a larger share of asylum seekers than any other EU state compared to its existing population size. Sweden’s population is about 9.6 million while in 2014 asylum was granted to more than 33,000 refugees, the report said.